We all know that driving after drinking is dangerous, but bad driving habits can be just as risky. These habits not only lead to tickets, fines, and higher insurance rates, they can also cause injuries and cost lives. Listed below are six examples of bad driving habits. Using your cellphone to talk or text while driving is extremely dangerous. Yet, at any time 11 percent of all drivers are using their cellphones. A study from the National Safety Council showed that while using cell phones we fail to see 50 percent of our driving environment, even with hands-free devices. We do everything on-the-go nowadays, including eating. But this can be a deadly choice. 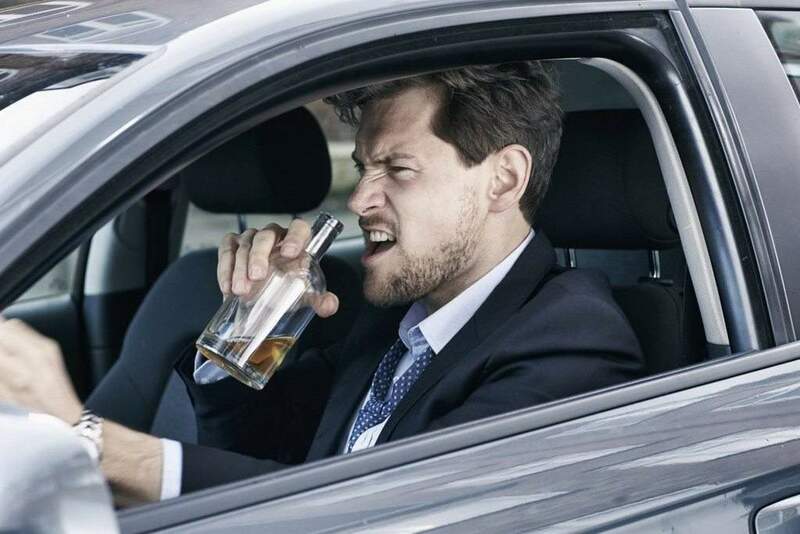 According to a UK study from the University of Leeds eating increased drivers’ reaction time by 44 percent, while drinking increased their reaction time by 22 percent. Some of the most dangerous foods behind the wheel include coffee, soup, tacos, chili dogs, and burgers. We shouldn’t just be cautious of our cell phones. Talking to a passenger or trying to calm a kid or pet can also be dangerous. According to a 2010 National Motor Vehicle Crash Causation Survey (NMVCCS), conversing with a passenger was a contributing factor to 17 percent of the two million surveyed crashes. We all know it’s wrong. Yet, whenever we’re running late most of us have the tendency to accelerate more than we should. It’s a terrible habit that was a contributing factor in 31 percent of all fatal crashes in 2008. It also cost over 11,000 people their lives. Using your turning signal doesn’t require much effort. Unfortunately, not enough people are using them. A study from the Society of Automotive Engineers shows that 25 percent of drivers do not signal when turning and 48 percent neglect to signal when changing lanes. This causes up to two million crashes per year. Have you ever let your mind wander while driving? Don’t! According to the 2010 NMVCCS, this bad habit contributed to over 300,000 crashes. The survey states that 43 percent of these drivers were feeling unfocused, 24 percent were worrying about personal problems, 17 percent were thinking about family members, and a combined five percent were distracted by a previous argument and finances. There are other bad driving habits you should also consider breaking. Tailgating and self-grooming while driving can be dangerous as can driving inappropriately during hazardous road conditions, such as not slowing down when it’s raining. Being distracted by electronics like GPS systems and radios systems can also be hazardous so be careful.